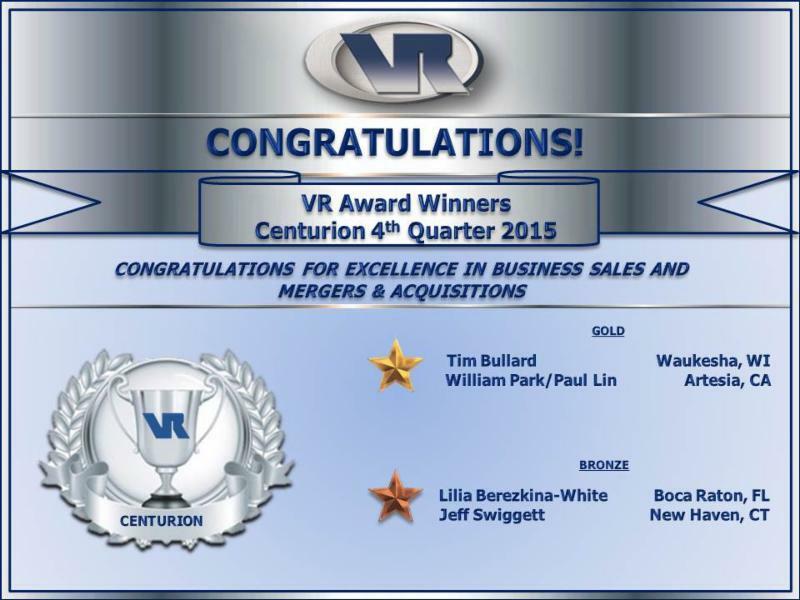 The VR Global Headquaters has announced 2015 award winners, including Jeff Swiggett, CBI, M&AMI, of VR Business Sales New Haven. 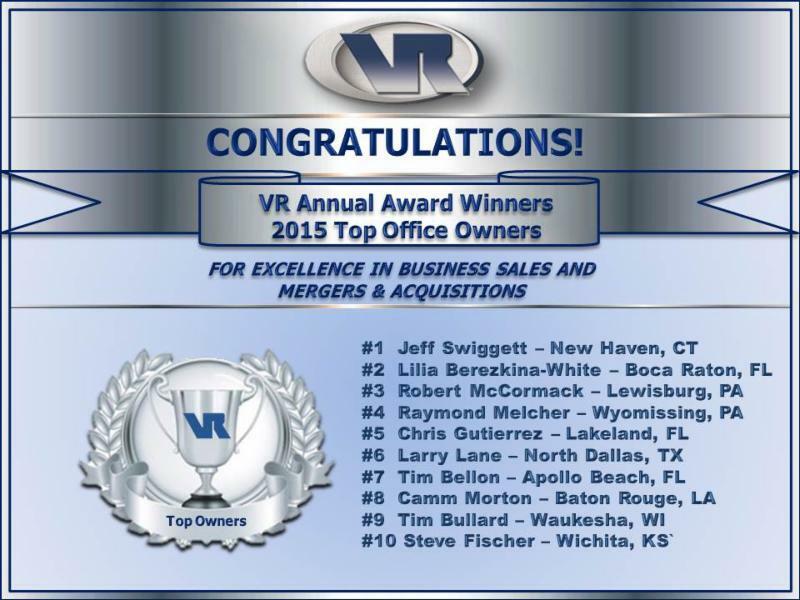 Jeff received the highest honor of Most Valuable Intermediary and was ranked the number one VR Office Owner for commissions earned in 2015. 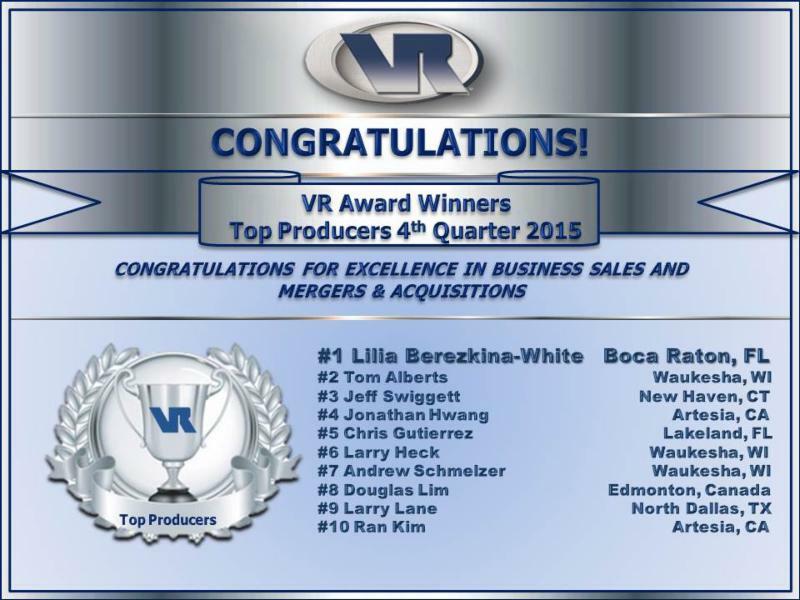 He was the number one VR Top Producer for the third quarter and number three for the fourth quarter of 2015. 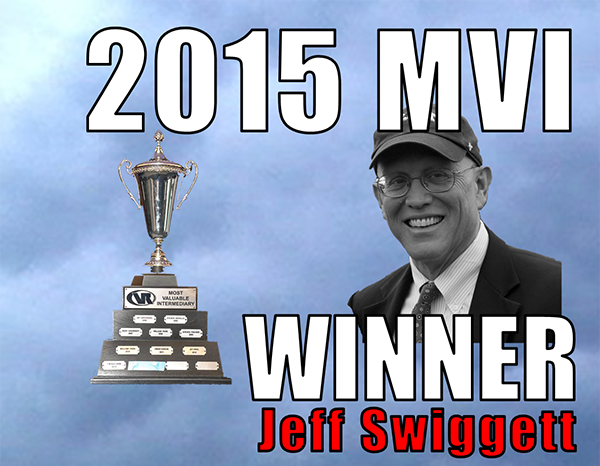 Through Jeff’s leadership, his office provided exceptional merger and acquisition advisory services to companies in Connecticut, Southern New England, and Metro NY, ranking third in commissions earned for all VR Offices in 2015. 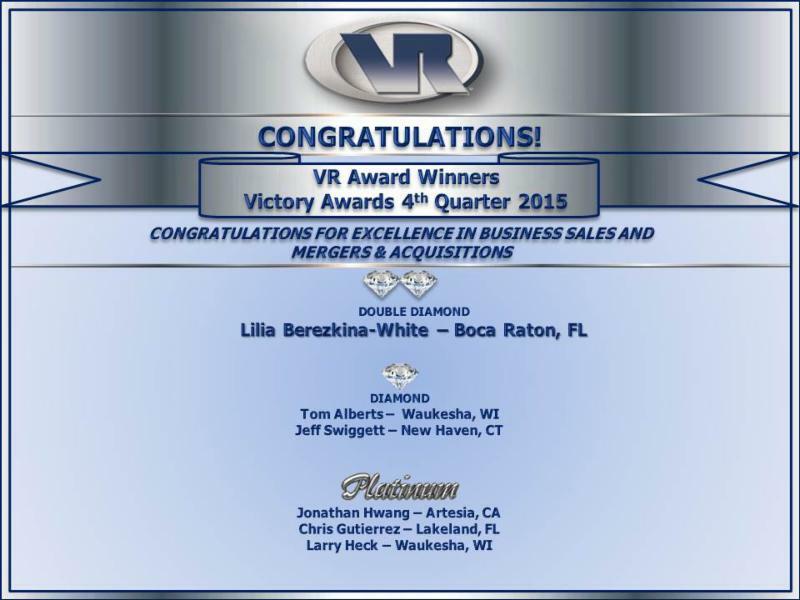 Read the full VR awards announcement here.